For those who have asked, my TV shows on PBS/KVCR TV “Classic Conversations” and “Exploring The Arts with Gloria Greer” return to KVCR TV every Sunday at 4:30 PM starting Sept. 21. The return show follows the PBS pledge drive pre-emption of the station’s regular schedule. I am pleased that KVCR/PBS is repeating my interview with Victoria Wilson today (Sept. 21) about Barbara Stanwyck and the early days of Hollywood and last days of vaudeville. She is an incredible author and publisher. For some of you who do not know that much about me, we even discuss my father who was instrumental in Barbara Stanwyck's early career when she was still known by her given name, Ruby Stevens. I was overjoyed, however, to see one of the pledge drive documentaries “Jimmy Van Heusen – Swinging with Frank & Bing” on KVCR TV a few nights ago. Van Heusen was a good friend and one of the most colorful, outrageous, brilliant, fun loving individuals who ever lived. He was also one of the most talented. 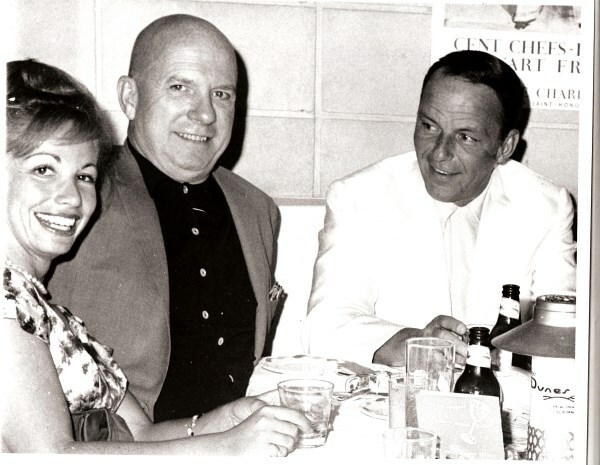 He not only wrote the music for all the Crosby-Hope “Road” films but composed more songs recorded and sung in films by his pal Frank Sinatra than any other composer. Kudos to the producers of the documentary for showcasing Jimmy so well. So proud of our desert devotees. Palm Springs home owner Andrew Neiderman just received word that his tome (and motion picture) The Devil’s Advocate has been optioned by NBC. Producers John Wells and Arnold Kopelson are bringing the 1997 feature The Devil’s Advocate to television as a potential series. The legal drama with a supernatural twist, from Warner Bros. TV, centers on a public defender who joins a law firm that is run by the Devil himself. In the 1997 movie, produced for Warner Bros., the young lawyer was played by Keanu Reeves, with Al Pacino playing his boss. The film, based on Neiderman’s novel of the same name, was directed by Taylor Hackford with Charlize Theron co-starring. It grossed $153 million dollars on a $57 million budget. And if that isn’t enough about the Devil, The Devil’s Advocate is slated for a musical stage production in Germany with first workshop next January and play (without music) scheduled for Amsterdam and tour of Holland in the spring of 2015. Still more about busy Neiderman: The VC Andrews series, that he also writes, is exploding with a possible production on stage in London of Flowers In The Attic; There Be Thorns is now filming in Vancouver; Warner Bros. TV has optioned Ruby from the V.C. Andrews Landry series, and the newest in the VC Andrews book series, Christopher’s Diary, Secrets of Foxworth has an Oct. 28 publishing date here, the UK, Poland, India, and Australia. Sounds like Neiderman has conquerd the devil and is on a roll. Special congratulations to frequent desert visitor Lily Tomlin. She receives the John F. Kennedy Center Honors next December. It is a thrilling occasion. I went to Washington D.C. with good friend composer Frederick Loewe when he and Alan Jay Lerner received the Kennedy Center Honor in 1985 along with Bob Hope, Irene Dunne, Beverly Sills, and choreograpaher Merce Cunningham. The public will see the Awards Ceremony at Kennedy Center on national television, but the awards weekend includes dinner at the State Department hosted by the Secretary of State, a private brunch, and a private awards ceremony and reception at the White House hosted by the President and First Lady. It is a memorable occasion. It was for me – and I didn’t even get an award.